The 2016 Honda Pilot has now arrived for Goshen and Monroe drivers, so there’s little reason to look at competitors like the 2015 Nissan Armada. With far more impressive efficiency scores, more trim levels to choose from, bags of passenger space, and a whole range of driver assistance technologies, the new Pilot is in a league of its own. 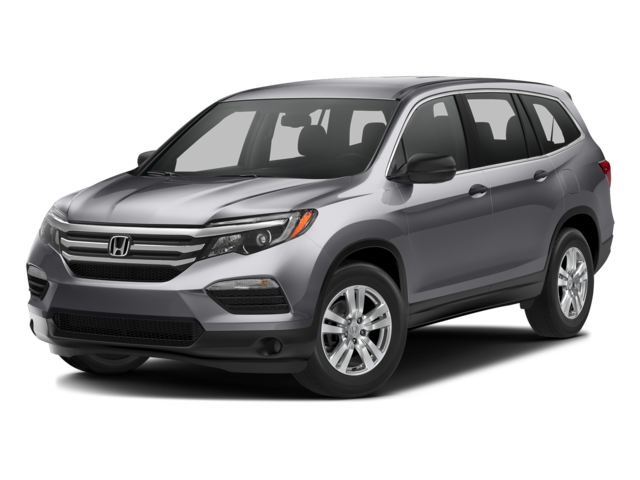 The 2016 Honda Pilot comes in five different trim levels, so Goshen and Monroe drivers will have no problem finding a model that suits their needs. LX: The LX includes standard features such as cruise control, air conditioning, a multi-angle rearview camera, a push-button start system, and a 4.2-inch multi-informational display. EX: Your EX enhances comfort with a 10-way power driver’s seat and adds both a complimentary subscription to SiriusXM satellite radio and an 8-inch audio touchscreen display. EX-L: The EX-L adds both a power liftgate to make loading and unloading easier than ever, and also puts one-touch second-row seats in the rear to make changing the interior layout a breeze. Touring: The Touring trim is all about state-of-the-art technology. Drivers will be able to take advantage of a Honda satellite-linked navigation system, a rear Blu-ray/DVD entertainment system, and a 540-watt 10-speaker premium sound system. Elite: The Elite combines that technology with top-of-the-line comfort. As standard, you’ll be treated to a leather-trimmed interior, heated and ventilated front seats, and an all-new panoramic moonroof. 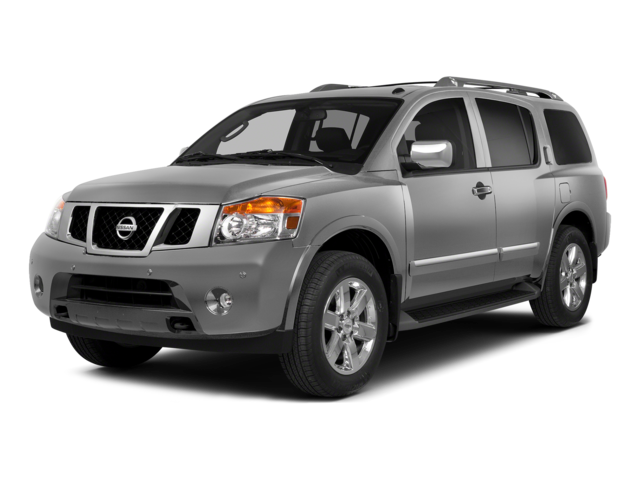 The 2015 Nissan Armada comes in just four trim levels, but never matches the Pilot in terms of features. The entry-level SV includes a Bluetooth handsfree phone system and 18-inch aluminum-alloy wheels, while the premium Platinum trim falls flat with no panoramic moonroof or ventilated front seats. The 2016 Honda Pilot manages to expertly blend the type of power you can depend on with a level of efficiency which lets you go further on less. Each model is fitted with a high-end 3.5L EarthDreams V6 engine that is capable of generating up to 280 hp and 262 lb-ft of torque for a ride that remains dynamically responsive across all situations. It also offers two transmissions to refine that power. A 6-speed automatic allows for 19 mpg in the city and 27 mpg on the highway* with FWD, or 18 mpg city and 26 mpg highway* with AWD, while the available cutting-edge 9-speed automatic transmission lets you achieve up to 20 mpg in the city and 27 mpg on the highway* with FWD, or 19 mpg city and 26 mpg highway* with AWD. In contrast, the 2015 Nissan Armada concentrates solely on power. The 5.6L V8 engine produces 317 hp and 385 lb-ft of torque, but that comes at the cost of fuel consumption. You’ll only earn up to 13 mpg in the city and 19 on the highway with FWD or 12 mpg city and 18 mpg highway with AWD – incredibly disappointing, even for a large SUV. The Pilot offers 152.9 cubic feet of passenger space in comparison to just 127.3 cubic feet in the 2015 Nissan Armada, so there’s far more room for all 8 passengers to lounge around and relax. The cabin on the Pilot is also built with noise cancellation technology, so you’ll feel like you’re back in your living room even while you’re cruising down the busy interstate, and there’s still enough space to fit up to an entire 82-quart cooler behind the 3rd-row seat. Unlike the 2015 Nissan Armada, the 2016 Honda Pilot was awarded a 5-star safety rating by the NHTSA and named a Top Safety Pick+ by the IIHS. It also includes a suite of Honda Sensing driver assistance technologies to help keep you safe on the road. 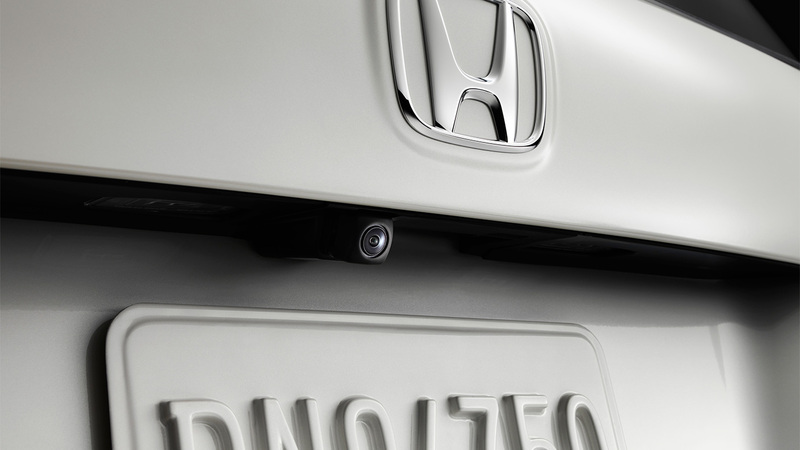 Honda LaneWatch: When you signal right, a small camera will display a live video on your display screen, showing nearly four times more than the passenger-side mirror alone. Adaptive Cruise Control: Automatically adjusting your cruising speed to account for the vehicle ahead. Lane Departure Warning: Uses a small rear-mounted camera to monitor your positon on the road. If you begin to drift without indicating, a warning will be provided. The 2016 Honda Pilot thoroughly outclasses the 2015 Nissan Armada. To experience it for yourself, just come down to the showroom at Middletown Honda today. We can’t wait to put Goshen and Monroe drivers behind the wheel of this spacious SUV.